This blog explores Deafness and Mental Health, Time to Talk Day, thoughts on the topic and useful links and contacts for self-help. I researched into whether there is a higher occurrence of mental illness in deaf people than hearing. Although a simple question, there is no simple answer. A report I read produced by Action on Hearing Loss (www.actiononhearingloss.org.uk/how-we-help/information-and-resources/publications/research-reports/mental-health-report/ ) looked at the negative effect that hearing loss can have on mental health and the paper looked more closely at the link between people who experience hearing loss and mental health problems. I am sure there probably is a higher proportion, on average in deaf people who also suffer from mental health issues, compared to their hearing peers. I wrote this blog, not only to raise awareness but to reach out to anyone who might be struggling in their own private worlds. There are so many causes of mental illness and it can depend on multiple factors including family, support networks, employment, level of hearing loss, other health conditions, genetics and age and so on. We are all unique and what causes one person more than another to be vulnerable to a mental health problem, we could discuss all day. It makes sense. Living with a hearing loss can be difficult it can cause all sorts of problems varying from feelings of isolation, despair, frustration, anger, unfairness, inequality and much more. Low self-esteem and self-confidence can be very common emotions. A person might feel stressed, low, anxious or not coping, but might not really know why. Left untreated, these normal feelings can sometimes escalate into ones which can spiral out of control. Is it really accepted and talked about? Many people are still struggling on a daily basis. It is reported that 1 in 4 of us experience mental health problems, but that’s just generally, I believe it could even be higher and as we have seen, higher again in the deaf community. For anyone struggling, whatever point they are in their struggle, whether it is a relatively new issue, they have sought professional help and are beginning their treatment and road to recovery or whether they have suffered for many years, one of the things you don’t want to do is shout it from the rooftops. It’s not usually something you want to admit to others or even accept. The Time To Change organisation wants ‘everyone to have a conversation about mental health’ on Time to Talk Day. The idea is to encourage us all to become comfortable talking about this subject which is still sometimes taboo and misunderstood. Some believe it’s not an illness, and unhelpful comments such as; ‘it’s all in the mind’ and ‘pull yourself together’ are still heard. 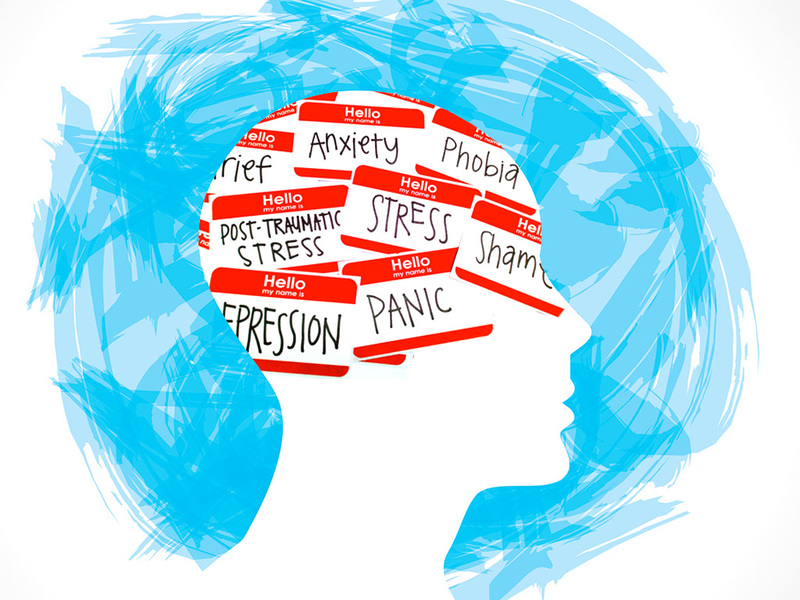 Until mental health is taken seriously, it cannot be effectively tackled and treated. The road to recovery can be a long one, but until a sufferer is on the right road, then they cannot hope to get better. Thankfully there has been a rise in information, research and awareness of mental health and it is becoming more talked about and seen as a modern day issue. Recently it has been announced that more funds will be available for mental health services, but there is lots to be done. Hopefully events such as the Time to Talk Day will help the subject of mental health to become the most important thing we need to be mindful of. Our mental health is one of the most important aspects of our lives, but often people give it little thought until they have to. Many will accept they need to keep their physical health in check; eating healthily, exercise, not smoking etc, but looking after our mental health often gets forgotten or not even thought about. Whether we are deaf, hearing, disabled or able bodied, an individual doesn’t have to justify to anyone or themselves why they feel depressed, anxious or any other feelings which could signify a mental health issue. We are only human and as our mind is the most complex organ, sometimes it can need help as can any other part of our bodies. If anyone reading this feels they need help with their mental health there are many agencies there for you (links below). I would advise firstly speaking to your GP/Doctor who can point you in the right direction and assist you in getting the support you need. Please do not suffer in silence, reach out, talk to someone and share the load. It’s ok not to be ok. There is also an array of help, advice and treatment available through the NHS, private organisations and charities. Here are some very useful and helpful organisations, all of which you can self-refer. I believe this service is available in most locations and run some excellent self-help workshops including; ‘Understanding your mental health’ and ‘Managing worry’. The Five Ways to Wellbeing is a simple but useful tool.